Want to take the performance of your award winning RP1 turntable to the next level? The RP1 Performance Pack can be purchased as an aftermarket kit or ordered factory fitted to your RP1 turntable. Included in the pack: Bias 2 moving magnet cartridge, Upgrade drive belt, 100% natural wool turntable mat. Upgrade drive belt- The increased drive delivered by the upgrade belt offers greater speed, stability and accuracy. This is especially noticeable during long musical notes which adds greatly to the musical performance of the turntable. Bias 2 cartridge - A hand assembled moving magnet cartridge which uses a high quality elliptical stylus and parallel wound coils that would usually be found in cartridges, costing many times the amount. Housed in Rega’s unique, lightweight, high rigidity cartridge body, the Bias 2 offers a detailed, balanced performance with tight bass and excellent stereo imagery. 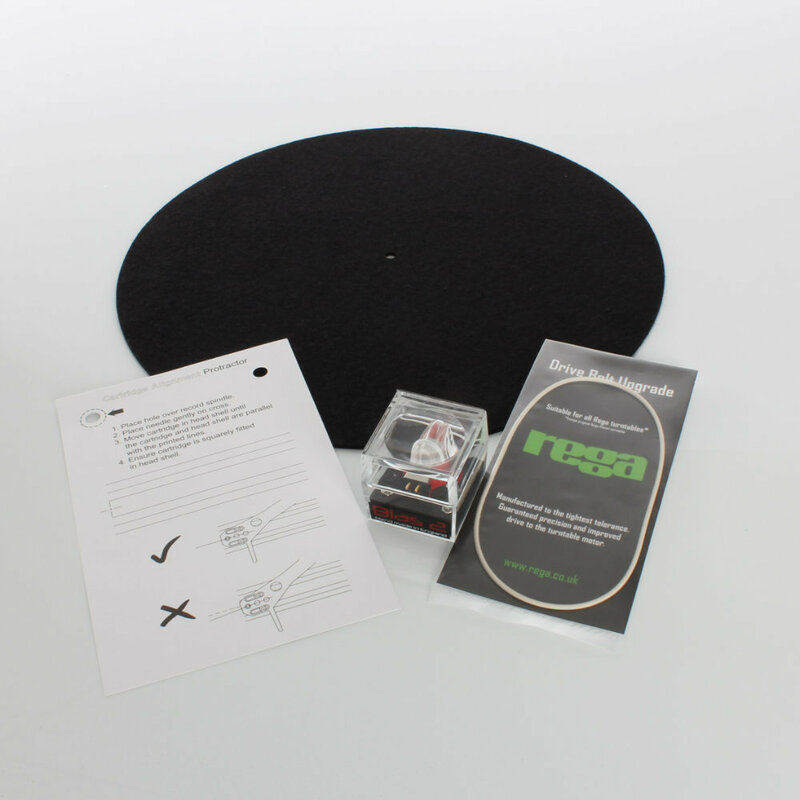 Turntable Mat - A high quality mat manufactured from 100% natural wool. Wool, having stiffer fibres than synthetic man made material, directly improves coupling between the phenolic resin platter and the vinyl LP.